Over a period of eight (8) weeks, Bettina and Thomas will be holding raffles, selling personalised keyrings, baked goods and more and will culminate in a 2nd Dan Blackbelt challenge grading on 31st March 2019. Both Bettina and Thomas have personal experiences of Complex Regional Pain Syndrome (CRPS). Thomas had an ankle injury in October 2017 and by December 2017, Thomas was in a wheelchair due to his CRPS. However with long term physiotherapy and other treatments, Thomas is now finally able to return to his karate and enjoy it. On top of the Blackbelt grading and fundraising both Bettina and Thomas you also sponsor them to complete 1,500 kicks and 1,500 punches that they’ll have to do at the end of their Blackbelt Grading. They will also have to do 2,000 press-ups, sit-ups and thrusting squats over 8 weeks. All of which is simply amazing and for someone who was in a wheelchair over 18 months ago. Well Done Thomas for getting back to what you enjoy with your karate! Good Luck to both Bettina and Thomas! 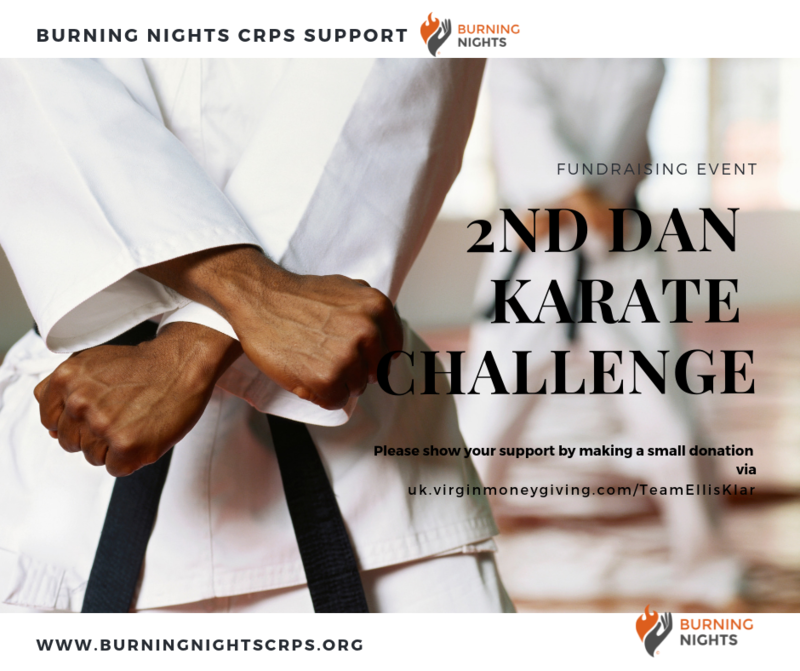 If you would like to make a donation to their event please visit their 2nd Dan Karate Challenge fundraising page.